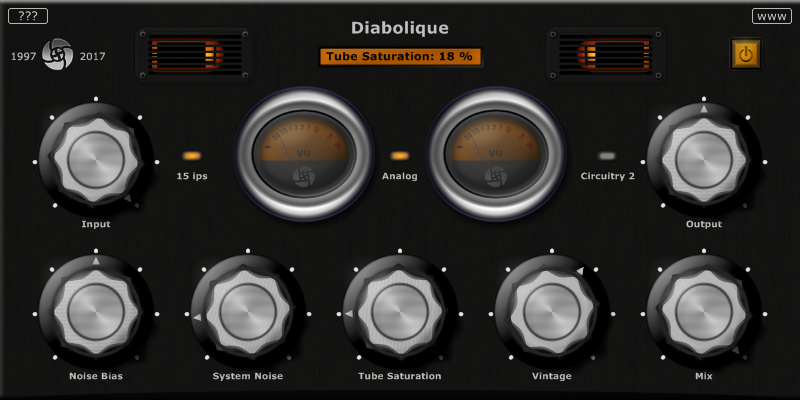 Ourafilmes has released Diabolique, a free VST plug-in for Windows designed to emulate 2 vintage tube reel-to-reel tape machines: a Revox F36 from 1962 (circuitry 1) and a Tandberg Model 3 from 1958 (circuitry 2). The plug-in is designed to simulate tape multi-tracking and/or warm up or dirty up sounds. The original template simulates the Revox and, by switching to Circuitry 2, the original Tandberg sound.